Learn all about the Synthesis Material in Kingdom Hearts 3 (KH3) with this guide! This includes where to get Synthesis Materials, the recipes, and completion rewards! 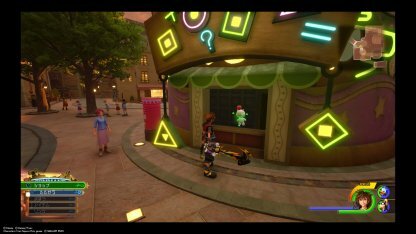 Item synthesis is a long-standing feature in the Kingdom Hearts. As you collect materials in different worlds, you can use them to craft or "synthesize" them into new items such as weapons, armor, & accessories! Where Do You Get Synthesis Materials? 3 missing are "Save the King+" (but non-plus version is present), "Save the Queen+" (same as with king), and the Areo Armlet. The "Save+" items are the same as the non-plus, but plus a Hungry Crystal. Too bad we cant tell what we already made!